Dr. Najor-Durack began her tenure at the School of Social Work in 1994 as the M.S.W. academic advisor and was appointed to direct the Office of Field Education in 2005. Her research area includes the use of Evidence-Based Practice (EBP) in social work education and fieldwork. Her practice experience spans mental health (inpatient and intensive outpatient care), family work, and work with Arab/Chaldean families. 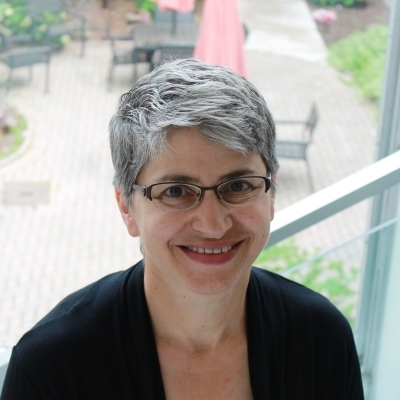 Dr. Najor-Durack has worked closely with various faculty in the School of Social Work to develop programs to better prepare social work students for professional practice. She served as the principle investigator of the Hartford Partnership Program for Aging Education grant that helps to prepare M.S.W. students for work with older adults.In addition to her work in the School, Dr. Najor-Durack is the current Chair of the Michigan Board of Social Work. In her work with the Board, she reviews allegations to determine need for investigations and has served as conferee on substantiated cases. As a former member of the Boards Disciplinary Sub-Committee, she has deliberated and voted on many cases for final disposition. Dr. Najor-Durack oversees the placement of all B.S.W. and M.S.W. students at the School. In addition to working with students to arrange and oversee field placements, she works closely with agency partners to cultivate strong relationships/affiliations that advance student preparation for professional practice. Najor-Durack and Associate Dean for Research Joanne Sobeck are working to promote a strong child welfare workforce in Michigan through Wayne Together – Child Welfare Learning and Leadership Collaborative in partnership with the Michigan Department of Health and Human Services. Aimed at increasing recruitment and retention in this vital workforce area, the federally funded initiative trains select M.S.W. students for child welfare positions with an expanded curriculum and a rotational field education placement in child protection, foster care, and adoption. It also provides coaching, workshops, and continuing education to publicly and privately employed child welfare staff in Wayne County.